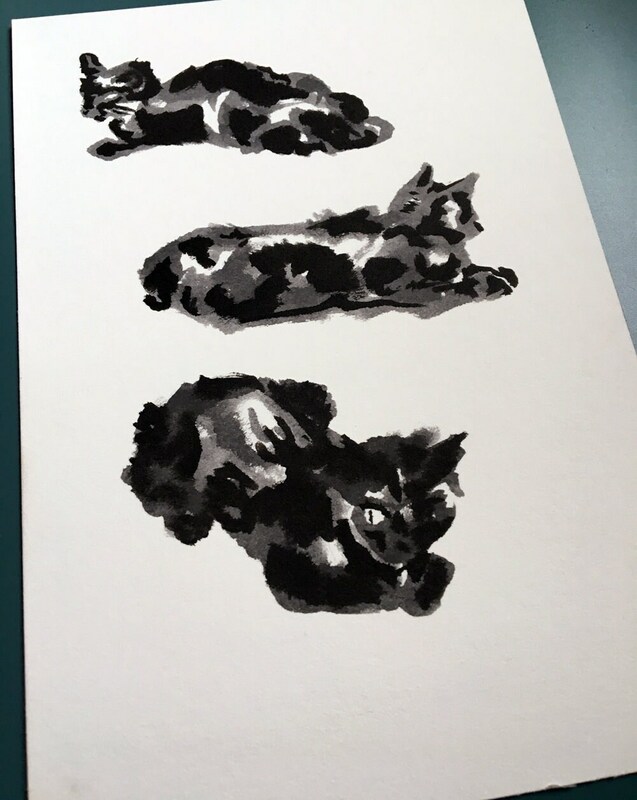 Inktober drawings of black cats are a shoe in. 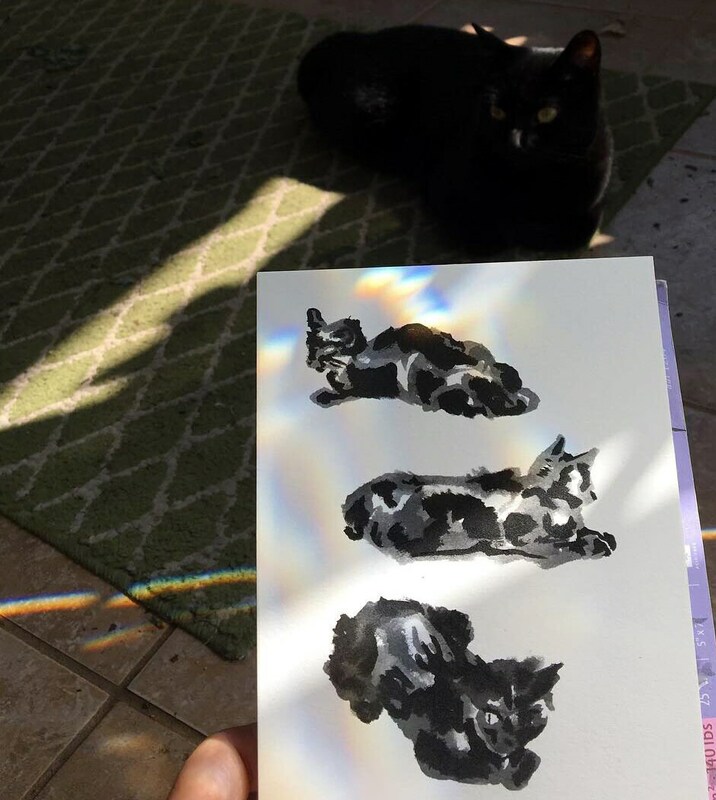 Ink and black cats seem to work very well together. 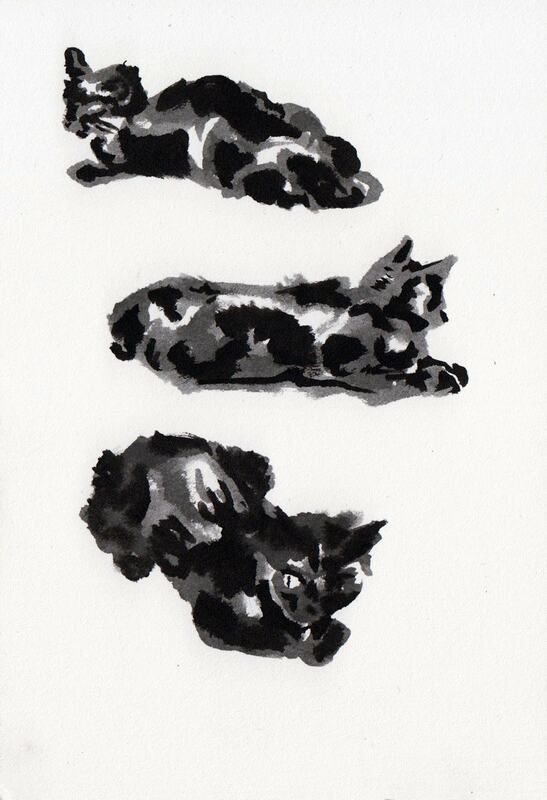 This sketch was made of my kitty Vanta as she tried to have a tranquil rest. I did not know sketching her would make her as anxious as it did. 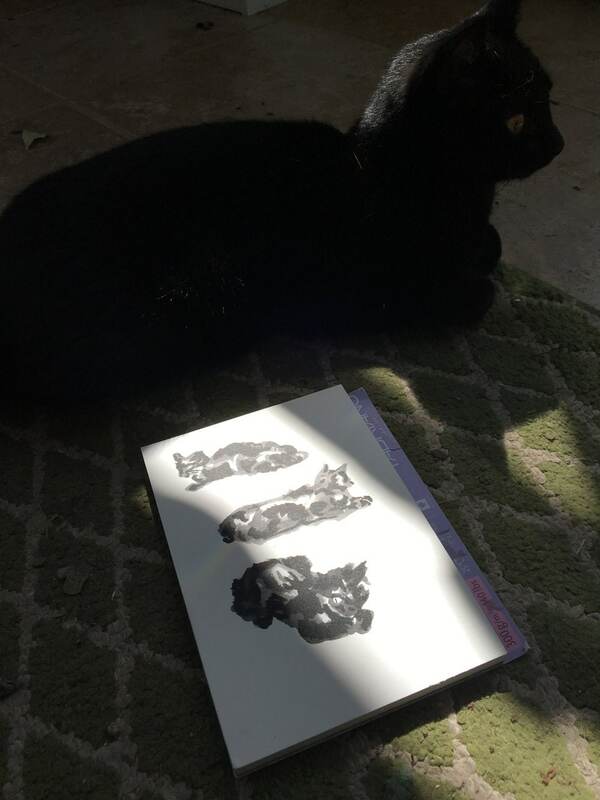 By the end of this drawing session she was restless. Through this exercise I learned half asleep felines do not like to be watched. This pretty little illustration celebrates black cats, their beauty, and their awareness of the world around them, even while they appear at rest. 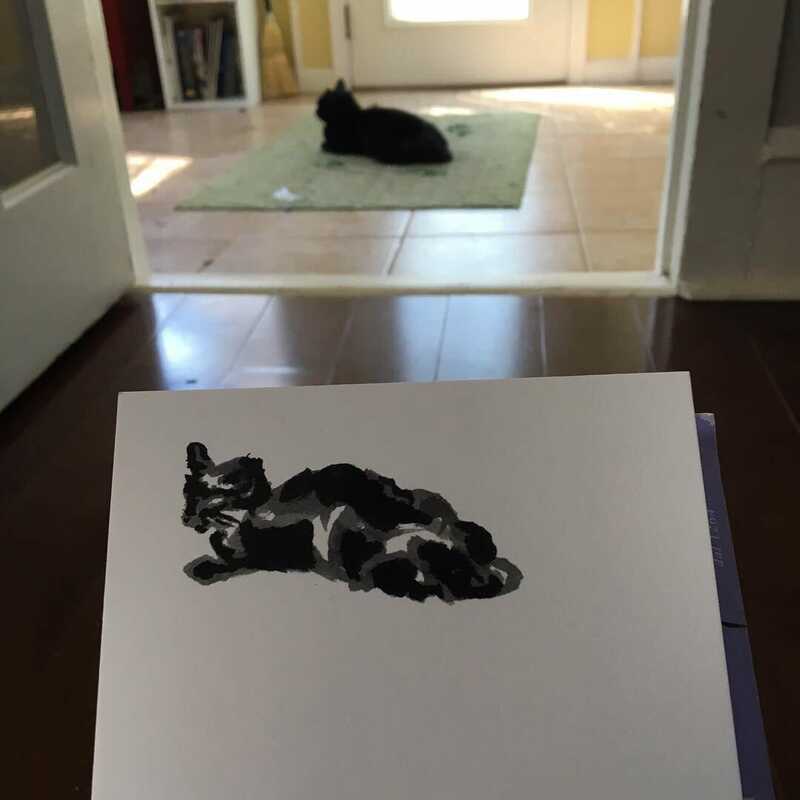 This ink drawing is entitled "Resting Black Cat." It is grey and black ink on paper. It measures 5" x 7" (12.7cm x 17.8cm).